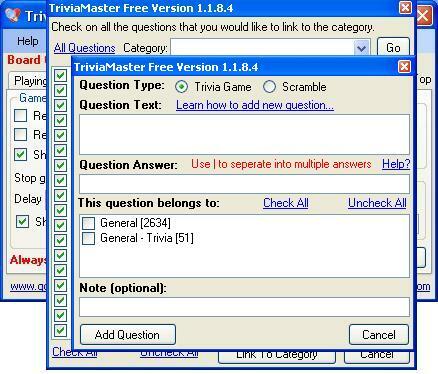 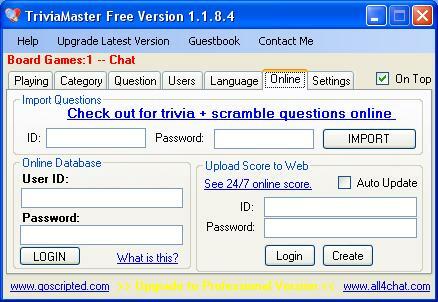 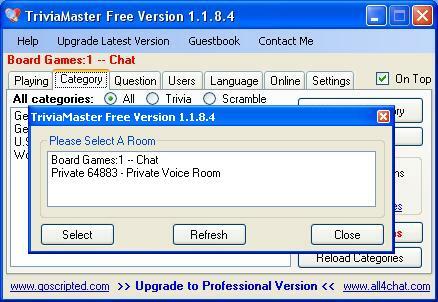 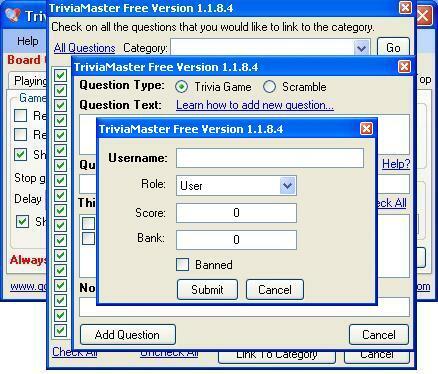 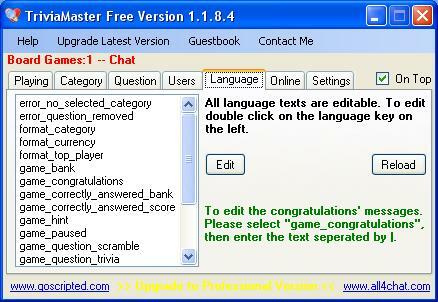 TriviaMaster is an add-on application dedicated for Messenger Chat System, such as Paltalk or Yahoo Messenger. 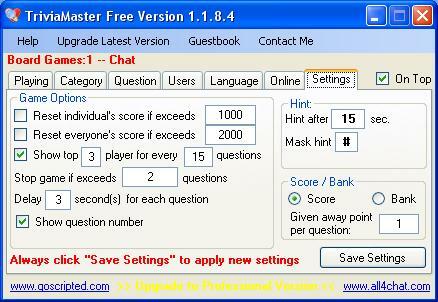 If you ever find yourself being bored while questing, grinding, raiding or just standing around in a city. 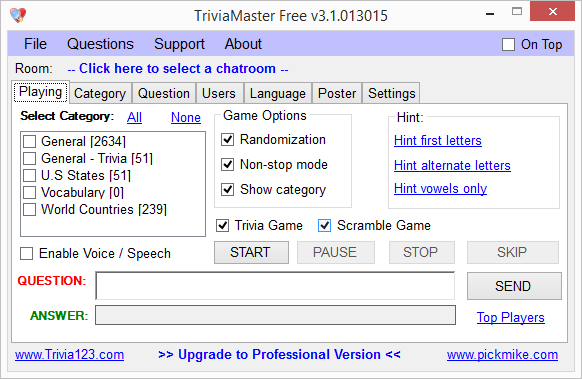 You can cheers your friend ups by sending them trivia questions to the chatrooms.